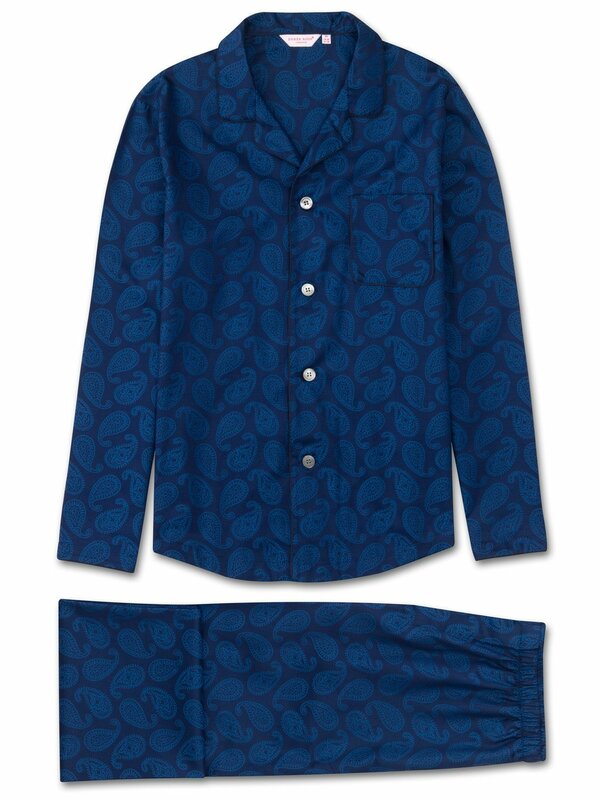 The Paris 13 navy blue modern fit pyjama features a stunning paisley design with our signature rose logo worked into the geometric patterns. This intricate design is woven into a mid-weight fabric using a traditional jacquard technique to produce a layered and textured repeat pattern. With its satin touch, it feels as great as it looks. Like all of our modern fit pyjamas, the Paris 13 is designed for a more tailored and contemporary cut; one that is closer to the body without being restricting.